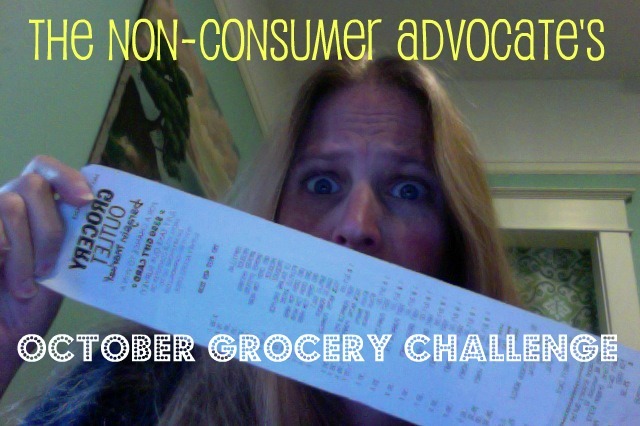 Here we are, ten days into the October Grocery Challenge and it’s time to check in with how my family is doing. 10/7 Costco – $80.76 . . . hellooooooo rib eye steaks! Multiply that by 3, and you get $584.64, not a sustainable budget. However, we’ve been eating with an emphasis on frugality since Tuesday, and will continue to shop and cook with the budget in mind. Although my mother’s birthday is on the 21st this month, so I’ll have to start thinking about a special yet not insanely expensive meal to serve. Monday: Frozen homemade baked ziti, which then became lunches for a few days. Tuesday: Rib eye steaks with baked potatoes, roasted green beans and pumpkin cheesecake for dessert. Wednesday: Fajitas, which used up the small amount of leftover steak. Thursday: Roasted potato, egg and black bean burritos, which used up the leftover baked potatoes. Friday: Mixed bean soup with cornbread. See how that one expensive meal lent itself to a few other meals? I do have a decently stocked pantry, although I’ll replace and take advantage of sales as much as I normally would. I haven’t been doing meal planning more than a day in advance, but that works well for me. I plan based on what I have on hand, and what needs to get eaten up. And I generally shop based on having standard ingredients on hand, rather than what I need for specific meals. And a big thank you to everyone who shared their steak cooking tips on the blog, as they were very helpful! I ended up bringing the rib eyes to room temperature, sprinkling with kosher salt and pepper, searing in blazing hot cast iron pans and then finishing them off in a 500º oven. (After placing a pat of butter over each steak.) I knew they were appreciated because everyone was completely silent during one point in the meal, which was a first! Are you trying to keep an eye on your food budget for the month of October? Please share your progress in the comments section below. I am including personal care items and animal food and supplies in with my grocery budget and I’m using up my budget very fast. I do have a plan for the next few days for food, so we’ll see how this week goes. We think our cat has diabetes, so we’re switching from dry to canned cat food and its expensive. And we have to find certain cat foods as well — not the cheap stuff. Oh well. Your mention of Morton’s reminds me of my husband’s late grandfather, who used to fly into town a couple of times a year and treat us all to a magnificent meal at very fancy restaurants. I’m sure it cost him $500 – $1000 at a time but he LOVED treating us. He did not live a fancy life the rest of the time. He started out life in a Jewish shtetl in Russia and ended up quite comfortable in the U.S. and I’m sure it thrilled him to be able to do that for us. I hope to be able to be that generous in my later years. I know, wouldn’t it be fun to do stuff that like for others? He was the most generous person I’ve ever known and it really inspired me. What a nice story of your grandfather-in-law. As wonderful as it is to be treated in general, it means so much more when then the person treating you is clearly delighted to do so. I meant to say those packs of steaks at Costco. He thinks they taste the best and are the best quality for the price. I’m suffering sticker shock from my grocery shopping today. I made a trip to Costco and to my local grocery store, and I spent more than I have EVER spent in one day . But our kitchen is going to be out of commission for at least a couple of months, and we will be making due with slow cooker (which also has stove top and oven settings…love Ninja) and microwave. So I am preparing meals ahead and freezing. The groceries today will be the majority of our food budget for at least two or three months. Spent the past week menu planning, preparing shopping lists and defrosting the freezer in preparation. Trying to get through this as frugally as possible. I’ve been trying to cut down on our grocery budget for about 2 1/2 months. The one thing that has helped me the most is to use the calculator on my phone to total my groceries as I shop. This one simple practice has helped me reduce my grocery bill from $700 to about $500 a month. It’s still more than I want to be spending, but I’m still trying to figure out what I need to change to bring it down even more. It just makes me very aware of what each item costs and I find myself questioning … do we really need this item this week? I really like that idea! I try to pay attention to what each item costs as I put it in my cart, but I haven’t tried keeping a running total. That might help me keep the little splurge items on the shelf. I have a general question for Katy or, really, anyone. Whenever there’s an awesome sale on something we regularly eat, my inclination is to stock up. But, I’m never quite sure how much to buy. Years ago, when I first read The Tightwad Gazette, Amy Dacyczn recommended buying enough to get you to the next sale. But I can’t imagine knowing how much you go through w/o keeping some sort of running tally in your pantry/fridge/freezer AND having an idea of when the item will go on sale again. Does anyone have some advice? Amy also suggested having a price book, which I do. I keep tabs on the regular things I buy and can tell when it’s a good sale or not. I do stock up on things I will eat when they go on sale. I order a quarter beef once a year and make it last (I only cook for me and guests once a week). Last year’s price was $2.21 a lb. My shopping book permits me to buy chicken, fish, and pork when on sale. Meat is more of a flavoring than a main dish. I can get 8 tacos from 1 lb of meat. One of my favorite meals is a taco stack. I make rice or use a tortilla. I place a mound of rice or 1 tortilla on a plate and add taco flavored meat. Then I use whatever vegies I have and stack those on top. I cover it with a home made cheese sauce. I can feed 8 people for this. Another recipe I love is my sweet and sour surprise. I bought brats on sale for around 75 cents each. I had some leftover celery, carrots, peppers, onions, and zucchini which I sautéed. I added 2 chopped brats, some sweet and sour sauce, and fed 4 people from this. There is not much to being frugal: know your prices, be creative with what you have, and never apologize for your concoctions!!! 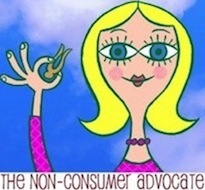 The woman who does the Grocery Game (I am not a subscriber, nor do I use coupons, which the Grocery Game advocates) said that sales come around @ every three months. I basically use the stock up on sale “system.” It must work because my family has always spent under the “food stamp budget” without trying very hard (and even before we knew what the food stamp budget was). Our grocery budget is $100/week for the 2 of us, and darn if it goes fine until alllll the trader joes staples go out at once! I know it’s important to strive, and I keep tabs on every cent spent, so I know my food budget this month is already about $100 too high…but I’m feeding 7 so that’s not completely out-of-bounds though I’m still a little freaked, but when I stress too much over the food budget I begin to compromise on having enough vegetables, trying enough new recipes, and in general, creating a more abundant meal. I’m actually trying to ease up on the food budget pressure, which is hard when I’ve so conditioned myself, and instead focus on the quality and joy I bring to the table…ooh, don’t I sound like such a goody-goody, but I actually mean it. I caution about taking up too strict of a budget, it can become a real tyrant. Previous post: Goodwill, Badwill, Questionable-will — A Container for Your Every Need!